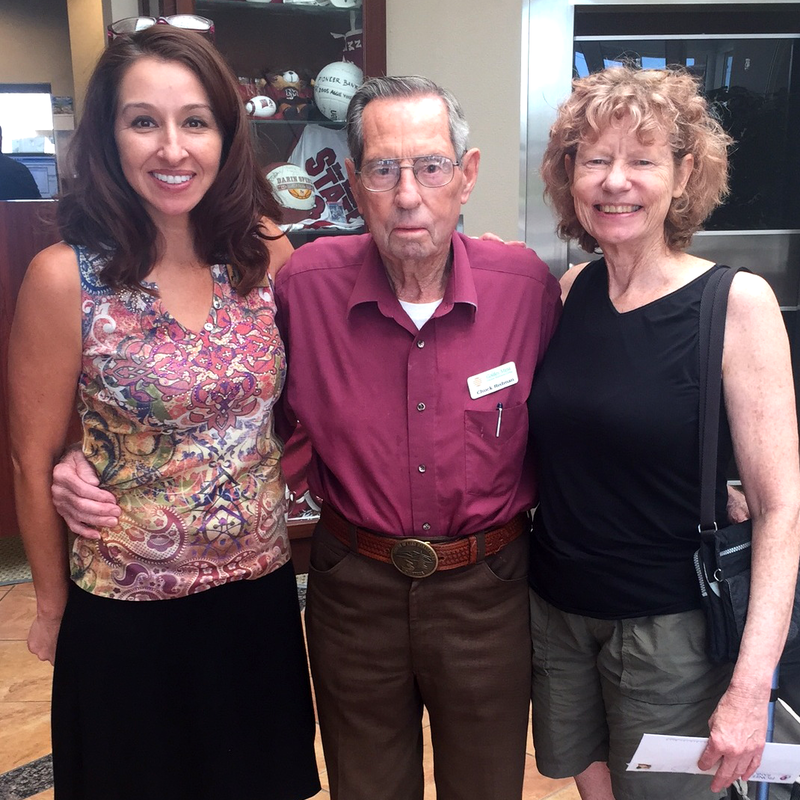 Renaye Medina, Branch Manager with Chuck and his daughter, Carol. “I just wanted to share a story with you about my customer, Charles Redman (Chuck). He’s been with Pioneer Bank since 2006. He came into my branch on July 30, 2009, and asked me if he looked any older. I told him not in the least, but asked why, was it his birthday? He said yes, that he turned 90 that day. I thought, wow: he still drives, walks every day, and comes to the bank quite often. I asked if he had lunch plans and he said no, so I offered to take him out to lunch for his birthday. He came to the bank later that morning and he drove us to lunch, but I paid. It was my pleasure. After lunch I told him I would take him out next year, same day, same time, and he agreed. 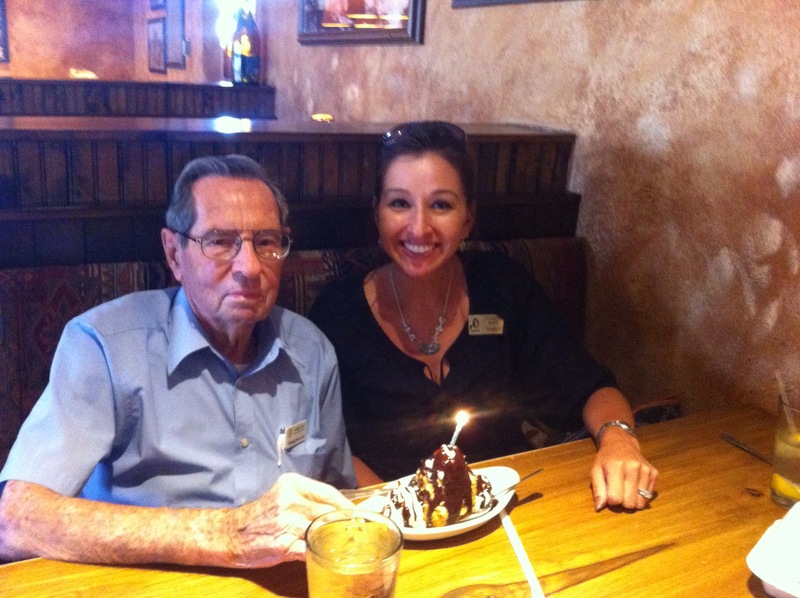 It’s such an honor for me, as he is a WWII veteran, and we both look forward to it each year. He even said last year that if he lives to be 110, it could get expensive for me. I told him I didn’t care, we’ll go as long as he can. Renaye treasures her time spent and experiences shared with our customers and we couldn’t be more proud of her. Tags: appreciation, birthday, customer, las cruces, university. Bookmark the permalink.